Today (Sat 31st January) Croydon’s far left are holding a ‘Holocaust memorial concert' at Ruskin House Croydon. Ruskin House is home to Croydon Labour Party, trade unions and The Communist Party. The Communists have the Hammer and Sickle flag up in their windows. For those readers unaware, communism is so far directly responsible for the deaths of over 100 million people around the world. Why would anybody wish to mourn the deaths of some people who died in concentration camps while celebrating a cult responsible for the deaths on many times as many people? 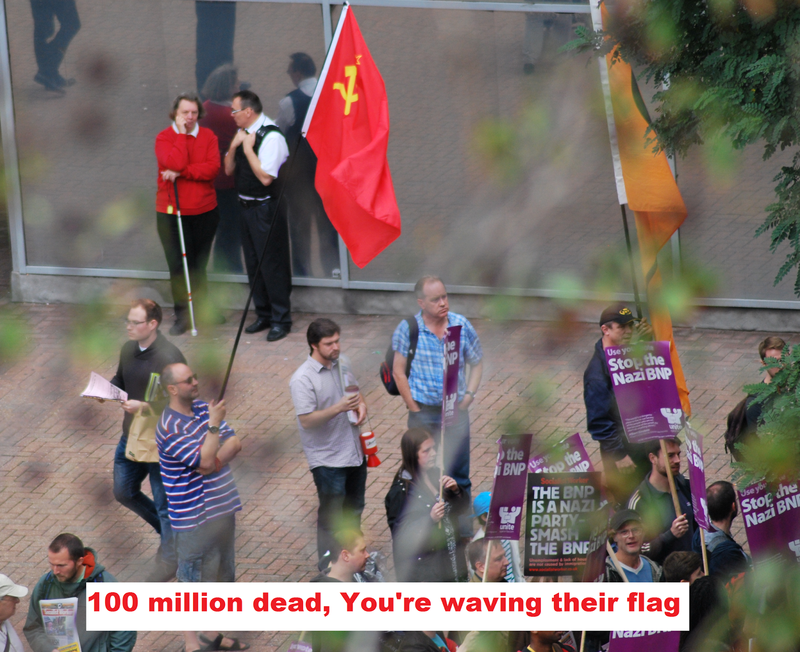 Why to Croydon’s Far Left are the lives of some people who died in World War Two worth so much more than the lives of everyone else who died? Rest In Peace the victims of Communism Past, Present and Future.